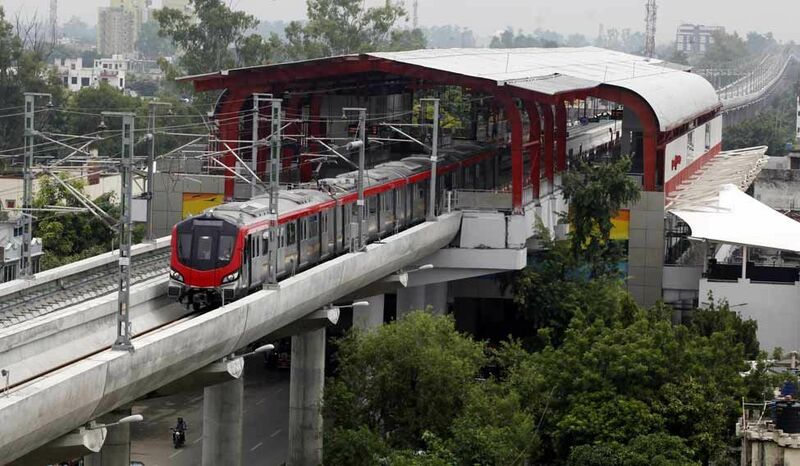 Lucknow: In an innovative move to improve house tax collection, Lucknow Municipal Corporation(LMC) has asked the Lucknow Metro Rail Corporation (LMRC) help in collecting tax via GoSmart card. This moves come in wake of the poor house tax collection in Lucknow as the process is tedious and time consuming. By using metro card to pay taxes, people will soon be able to pay around Rs 3,000 tax through Metro ‘GoSmart’ cards at Metro stations. For people of Lucknow this will come as a much-needed respite. Currently people have to stand in long queues at municipal offices to pay house tax. This takes a lot of time and many avoid paying the tax owing to the inconvenience caused. With this new initiative commuters will be encouraged to take metro and use the GoSmart card to pay taxes. Commuters will now be able to pay taxes with ease using GoSmart card. LMRC on its part has already designed a software and handed over to LMC. As per the process the staff at LMRC stationed at various metro stations will only have entre bill details and enter the amount. The commuter will then get a receipt, stating that the bill is paid. In the initial stages people will be able to pay up to Rs 3,000 by cash at any of the metro. In the later stage LMRC also plans to introduce ticket machines that will accept payments directly. An LMRC official in media briefing explained that the software is designed in such a way that the money collected as tax will be parked in LMC’s name in a system and later transferred to the corporation’s account. The ambitious project is ready but is not being implemented owing to disagreement between LMRC and LMC. As per LMRC the entire process should be made online with tax-payer getting info on the history of payment beforehand. LMR on the other hand wants LMRC to merger the software with LMC’s interface, so that tax-payer can get all history details at metro station itself. LMRC’s MD Kumar Keshav said that LMRC should only take care of payment part in order to protect privacy of tax-payer. Keshav asserted that by integrating the LMC software with LMRC, they would have access to data of other agencies and departments. They would want to avoid any such breech. Talks are on between LMRC and LMC to come to consensus in order to implement the project at the earliest.